Indie Retro News: SOPHIA II - Upcoming enhanced remake of Matthew Smith's "Styx"
SOPHIA II - Upcoming enhanced remake of Matthew Smith's "Styx"
Putting aside the Amiga it's time for some ZX Spectrum news, as we've just found out Alessandro Grussu is working on an enhanced remake of Matthew Smith's 48k ZX Spectrum game "Styx", which will be called 'Sophia II'. Now unlike that classic game, this upcoming remake will be a sequel to the successful Sophia and a remake of Styx while blending gameplay from both games. For those of you who haven't played Sophia will also be pleased to know it is still available but as a version 1.1 from (here). 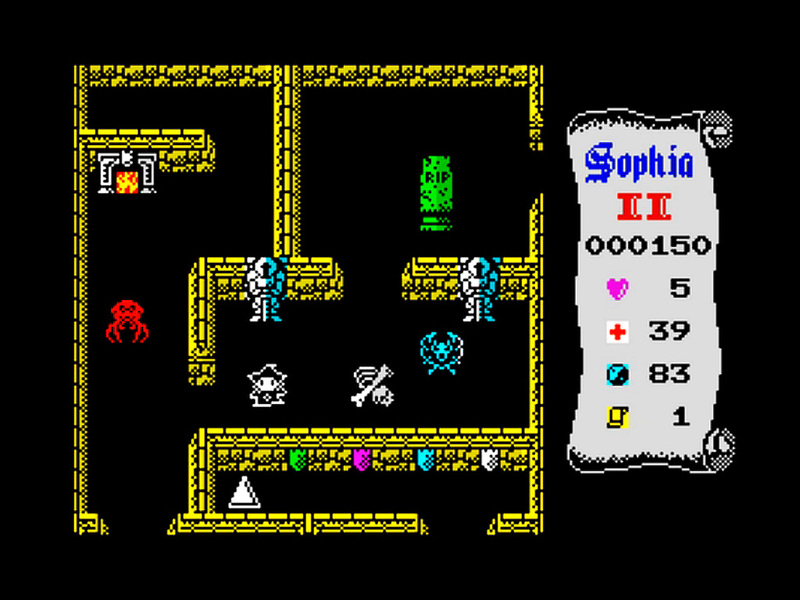 Featuring enhanced gameplay, music, sound and lots of attention to detail with both enemies and rooms, Sophia II is currently in the design stage for the ZX Dev MIA & Remakes competition, and although the game isn't far off finished, test on real hardware will still need to be done. So yes a game that looks highly enjoyable indeed, and once complete will be available for download with documentation available in multiple languages.